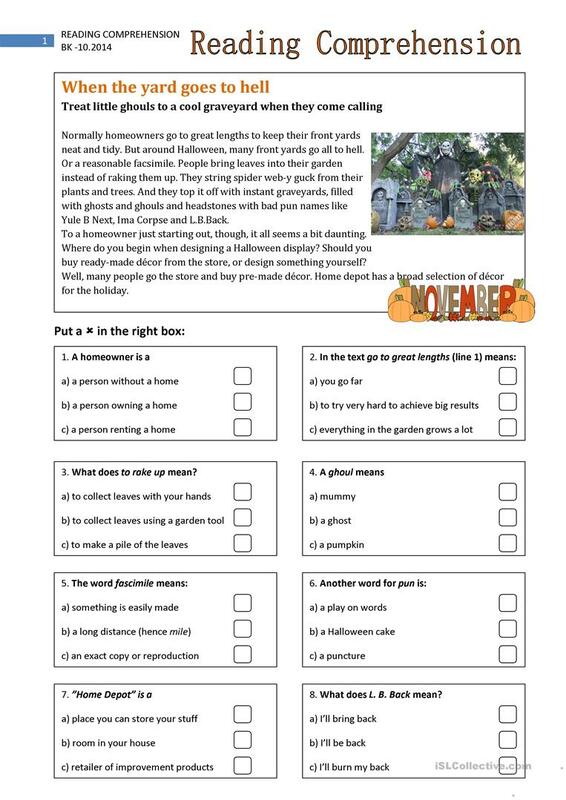 A reading on Halloween decorating of yards and some points to check the understanding of the text and vocabulary. This downloadable printable is recommended for high school students, adults and students with special educational needs, learning difficulties, e.g. dyslexia at Pre-intermediate (A2), Intermediate (B1) and Upper-intermediate (B2) level. It can be used for developing your learners' Reading skills. It centers around the vocabulary topic of Halloween.